Paso Doble with Liene Di Lorenzo! Liene Di Lorenzo teaches Paso Doble! All levels of dancers, and both singles and couples, are welcome! What a spectacular opportunity to learn this dramatic, passionate, and fun dance with Liene! Not only is she an exceptional teacher; she is one of the best dancers in the World! She and her husband Paolo are among the top competitive couples in the World. 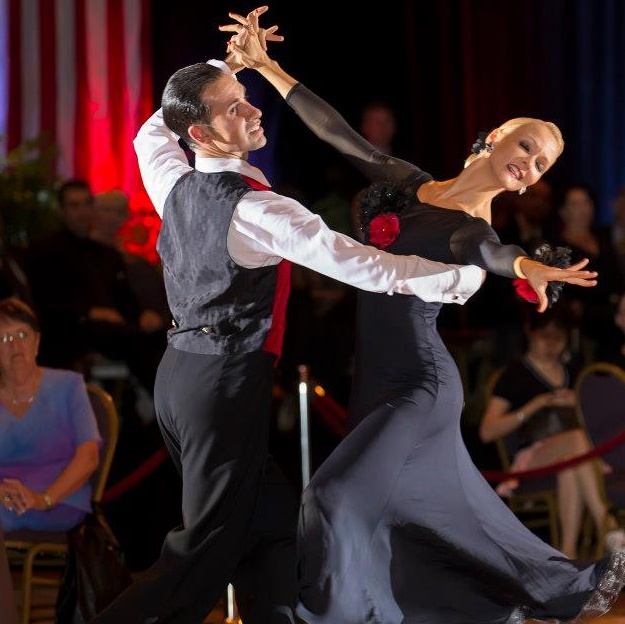 In fact, they are the 2013 United States National Professional Classic Show Dance Champions, and 2014 World Professional Ballroom Showdance Championship Finalists! Liene dances and teaches both International Standard and Latin and American Smooth and Rhythm dances. This class is COMPLIMENTARY with paid Admission to the Evening Social Dance that follows the class! !